Been awhile since your last scuba dive? It happens. But, what do you do in a current? What's the signal for "turn the dive"? What are the steps to a predive safety check? What is a predive safety check? Not sure? No worries. Whether you’ve been dry for a while and need to refresh scuba principles and skills, or you've been diving a lot but want to review the basics, PADI ReActivate is for you. 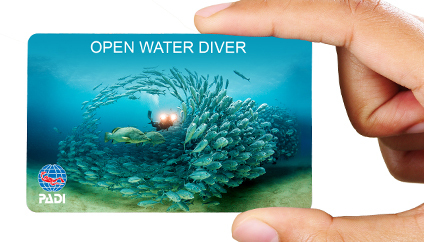 Download the program to watch realistic dive scenarios. Then, see if you remember how to best handle each situation. ReActivate monitors your responses and moves on when you're spot on, or delivers more detailed information if you weren't quite right. Dive back into the water with a PADI Professional to review your inwater scuba skills (optional). Get an updated certification card. 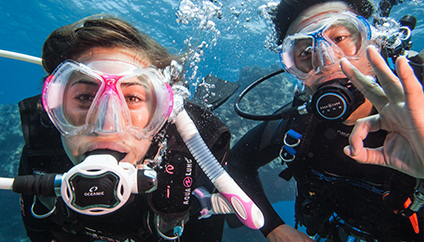 Complete both the ReActivate program and the inwater skills with a PADI Professional and receive a certificate of completion plus a PADI replacement certification card. Delivers cutting edge technology to reeducate you on fundamental scuba knowledge you may have forgotten since your last dive. Offers a prescriptive approach to refresh skills you need or want to focus on. Your PADI Instructor will work with you to get you acclimated with gear set up and skills you’ll work on prior to jumping back into the water. Includes a completion certificate for those who finish the academic portion and a PADI replacement card if you complete both academic and in-water skills with a PADI Instructor. Been a while since your last dive? 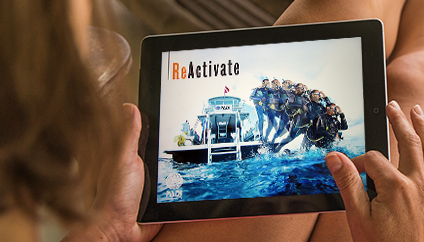 Jump back in and purchase the PADI ReActivate program today! Please read the Terms of Service before purchasing.